2.5I never thought the day would come when I wouldn't fall in immediate love with a Nora Roberts story. That was the case for Whiskey Beach. I wasn't sure in the beginning, for what the reason why I couldn't connect to the story. Was it the voice? Could it have been the main character? Or maybe it was because the narration was a little off. Eli Landon has had a rough year. A son of a whiskey empire, he found out his wife was cheating on him for a year. Eli was angry and upset, and went back to their house to retrieve his grandmother's ring. It belonged to Eli's family, and since his wife and him were no longer one, he had a right to take it back. But when he went to the house, he found his wife dead in the library. There were no other suspects to Eli's wife's death. All the fingers pointed at him. Eli was never arrested or imprisoned, because there wasn't enough hard evidence to convict him. But in the year of media and public speculation, he was practically ousted from his career and supposed friends. After a year, Eli retreated to Bluff House on Whiskey Beach. It was the Landon house that whiskey built. While his mother is recovering from an accident, he is keeping the house for her. And also because there is always a Landon in Bluff House. There he meets Abra, a housekeeper that is also a jack of all trades. But that isn't all Eli finds. He finds that his troubles has followed him to Whiskey Beach, but who is responsible is something he may find out too late.Eli is a good main character on paper. But I didn't completely connect to him. The way Roberts narrated his voice was different to me. At least that's how it seemed. The transition from one character thought to another threw me off, and it prevented me from fully getting to know who he was in the beginning. Eli was hurt by a cheating wife, only to be accused of murder. The scrutiny he must have endured was heart breaking. Who he was in the beginning of Whiskey Beach was a lot different than who he became in the end and it was a nice progression.Abra is a quirky character. She was all over the place. There were so many facets to her life and to her personality that it was difficult to understand her. I couldn't get to the heart and soul of who she as. Abra has a past of her own, but with all the different details of her life, it was hard to grasp. 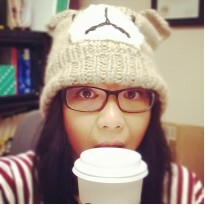 If I follow her life in a timeline, I understand, but when I read the chapters, it's a little baffling. It saddens me that I couldn't connect to Whiskey Beach. The mystery and lore of a hidden pirate's bounty was fascinating. The element of murder was intriguing. The thriller aspect was a little predictable, and while I normally don't mind it, this just added to the different things that I didn't connect with. There is a romance, as in all Roberts' books, but it was not my cup of tea. Both Eli and Abra have this quick-wit banter between them, and then it was instant romance. 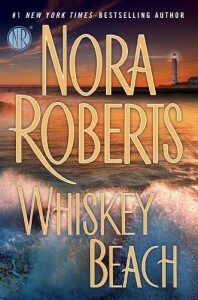 I just couldn't wrap my brain around it.Roberts' world seemed to have too many elements and too many factors for me to thoroughly enjoy Whiskey Beach. I wanted a little simple love story with a heroine and a hero. For me, this just wasn't the case.